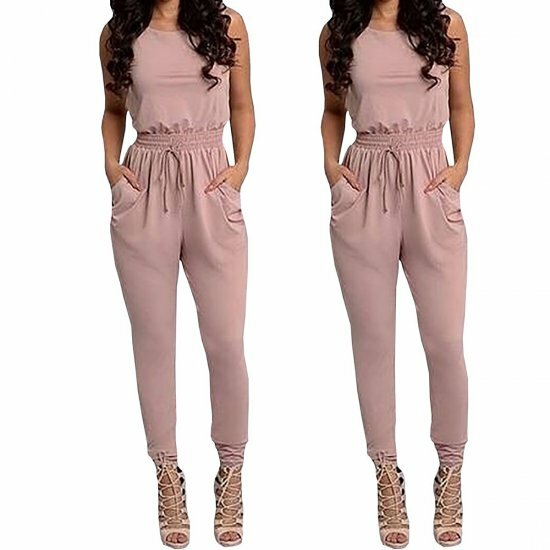 The jumpsuit is featuring sleeveless, backless, back cross, two pockets front, drawstring waist and solid color. It is casual and comfortable to wear. 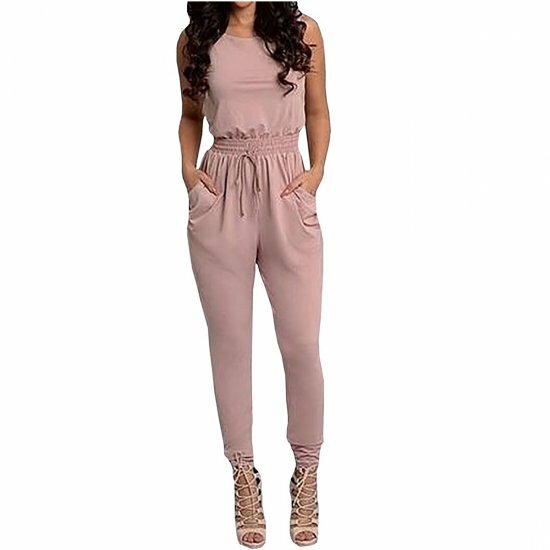 the Long Jumpsuit Relaxed Fit with drawstring waistline for a Figure Flattering Look! Unique style, create a illusion for stunning curves. this Suit is wear for party, ball, club,holiday, beach,traveling and daily wear.